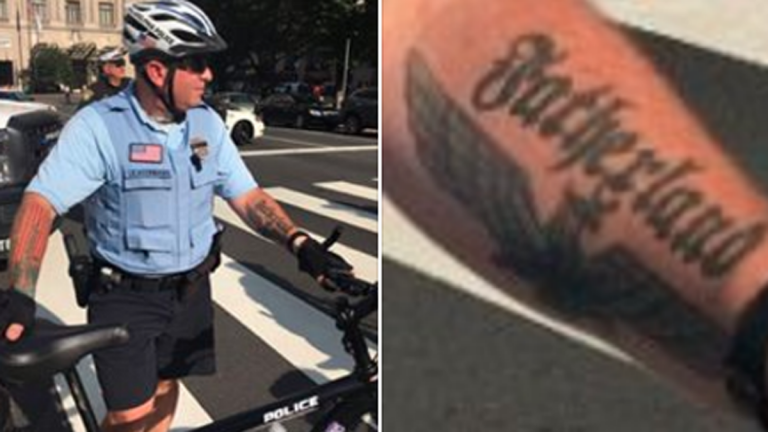 An activist who snapped photos of a Philadelphia police officer with apparently Nazi-inspired tattoos on his arms has filed a complaint against him, saying the tattoos violate the department’s code of conduct and questioning his continued employment. Evan Parish Matthews, who took the photos of Officer Ian Hans Lichtermann at the Black Resistance March on July 26 during the Democratic National Convention in Philadelphia, posted the images on Facebook Wednesday night, along with the text of a complaint he said was filed against the officer. In a blog post Wednesday, Philly Antifa, an anti-fascist and anti-authoritarian group, wrote that hackers in 2011 listed Lichtermann as a member of the white supremacist group Blood and Honour. 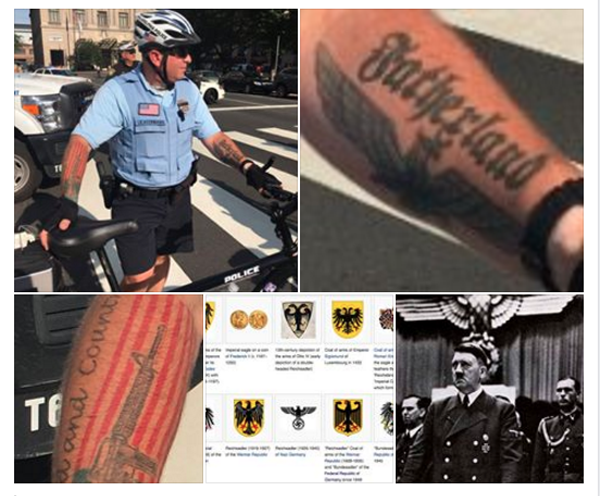 The group also posted photos, from Lichtermann’s Flickr account (suspended this morning), of the officer at an apparent World War II re-enactment dressed as a Nazi soldier. Lichtermann has been on the police force since 2000, according to city records. Daryle Lamont Jenkins, founder of the anti-hate group One People’s Project, said he discovered Lichtermann’s name on the hacker’s list about five years ago and reported him to the police department’s public affairs officers. 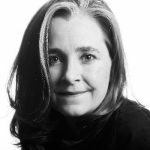 “They told me it would have to be investigated,” Jenkins said. Several veteran defense attorneys who represent minority defendants and have fought police misconduct found the case troubling as well. Attorney Guy Sciolla agreed, saying such personal beliefs could call an officer’s biases into question and impact the outcome of a case. Elsewhere, officers have lost their jobs for their white-supremacy ties. The FBI warned in 2006 that white supremacists were known to try to infiltrate law enforcement.